Have you ever been tending to the garden, you reach to pull a weed out and…ouch! Chances are, you’ve grabbed a stinging nettle plant. Don’t be fooled by its prickly exterior, stinging nettle can actually be very beneficial to your health. You might not want to see a stinging nettle plant ever again after experiencing the minor discomfort but think about all the good it could do for you. Stinging nettle is a perennial that can treat several conditions. The most popular being nettle tea to treat allergy symptoms. 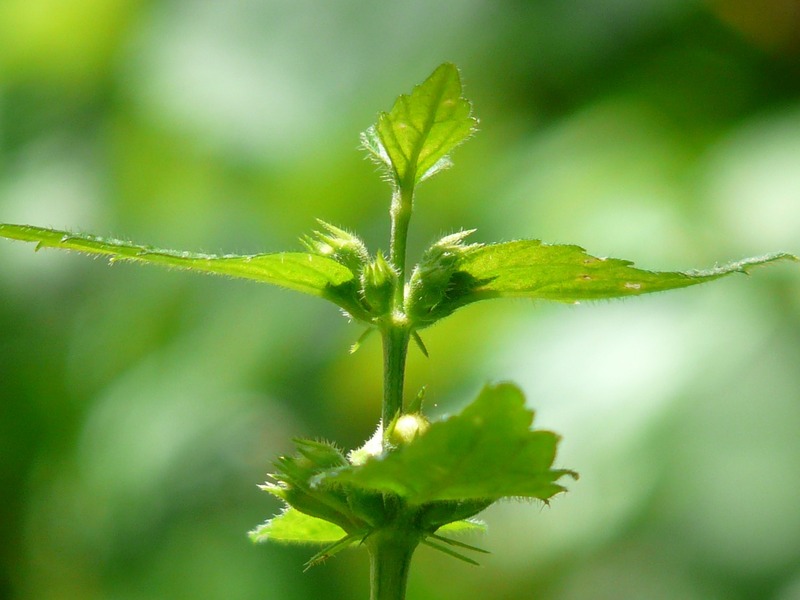 Studies on nettle have shown antioxidant, antimicrobial, anti-ulcer, astringent and analgesic capabilities. According to the University of Maryland Medical Center, the plant has been used throughout history as a diuretic and for treating painful joints and muscles, eczema, arthritis, anemia and gout. Today, it’s used to treat urinary issues, as well as allergies and joint pain. Production of histamine in the body is what causes allergic reactions. If you’re someone that is affected by allergy season, you know how uncomfortable the sneezing, itching and congestion is. The anti-inflammatory components of stinging nettle affect some of the key receptors and enzymes in allergic reactions, which allow it to prevent hay fever symtpoms. Stinging nettle leaves also contain histamine, which may seem like we’re taking a step backwards, but some studies have shown histamine to actually help treat severe allergic reactions. A study from the National College of Naturpathic Medicine found that stinging nettle used for allergy relief was rated higher than placebos in a 98-person, randomized, double-blind study. If you’ve ever had eczema, you know that it’s not just any rash. It can last for an uncomfortably long amount of time. As noted by the the Penn State University College of Medicine, stinging nettle’s antihistamine and anti-inflammatory qualities make it a natural treatment for eczema. Usually, patient’s would either take it internally (tea…etc. ), as well as a cream applied to the itchy rash. People who suffer for arhtritis often experiece joint pain, mostly in the hands, knees, hips and spine. Stinging nettle works alongside nonsteroidal anti-inflammatory drugs (NSAIDs), which is an great pairing because long term use of NSDAIDs comes with many series side effects, and it allows patients to decrease their NSAID use. Studies have also shown that nettle applied topically decreases arthritis pain. BPH symtoms are caused by an enlarged prostate gland pressing on the urethra, causing sufferers to have increased urges to urinate, incomplete emptying of the bladder, painful urination, post-urination dripping and reduced urinary flow. Although doctors aren’t completely sure why stinging nettle relieves some of these symtoms, but some clinical studies suggest that it contains chemicals that affect the BPH-causing hormones. Stinging nettle is also a good diuretic and helps urine flow as well. Some products that contain stinging nettle have shown that when applied to skin, it can reduce bleeding during surgery. It is called Ankaferd blood stopper, and is made of alpina, licorice, thyme, common grape vine and stinging nettle. How Do I Use Stinging Nettle?